It’s not often that packshots dominate the press – but clearly OK magazine liked my shot since they filled the online article page with two of them. 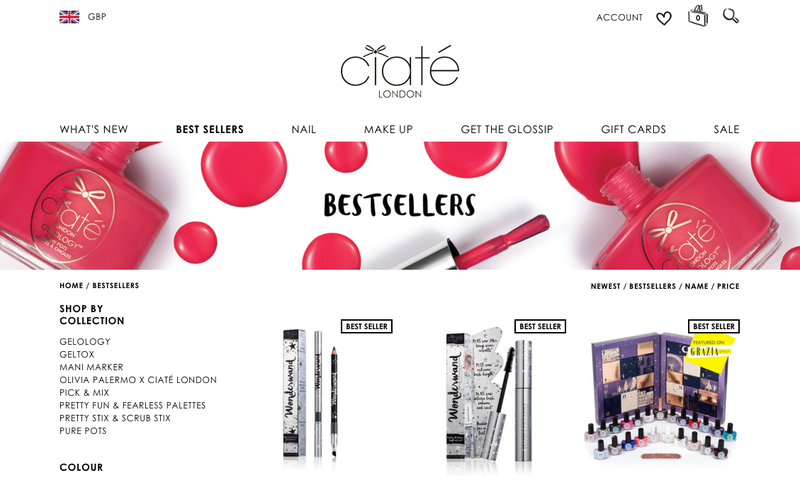 I’m flattered that over four years of collaboration with Ciate is really starting to show. I’d like to believe that strong still-life photography has played a large part in their to growth into a fully-grown cosmetics brand. Celebrating four years of product photography for Ciate London! 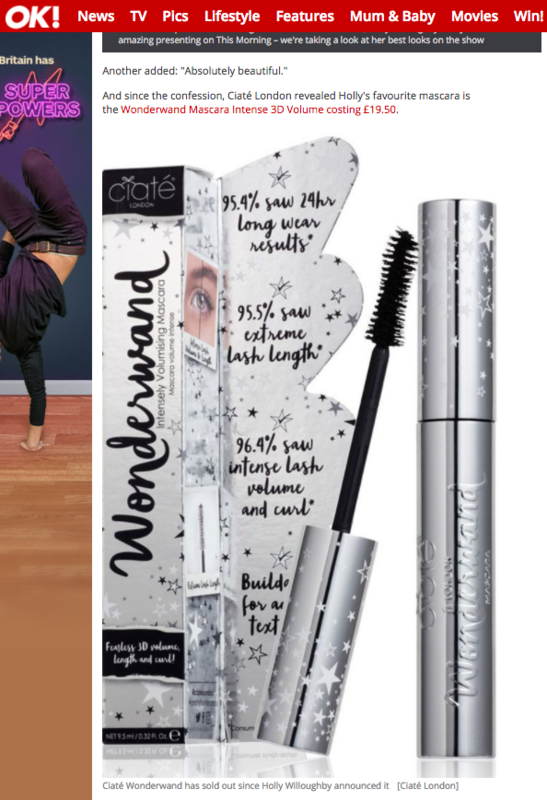 Studio Erameri has done the packshots and studio lifestyles for Lottie London since their launch. 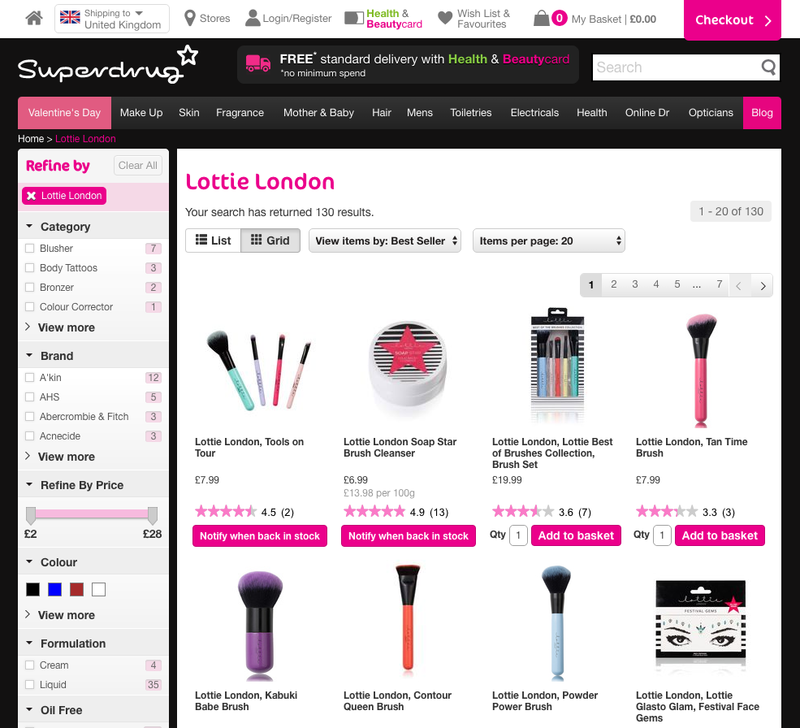 The cosmetics brand went straight into Superdrug and has been selling incredibly well since the start. We’d like to take some credit for making it easy for a new brand to take off fast. Fast turnaround of the product photography has been the key to keeping a large retailer happy. 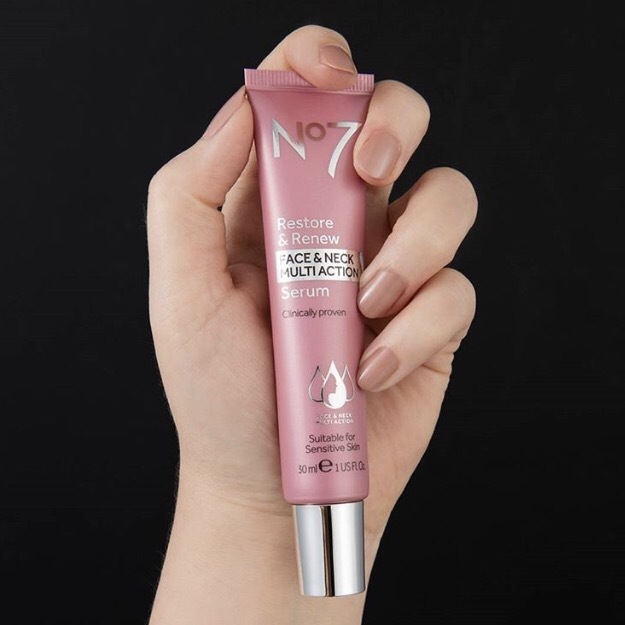 Beauty products often cannot be mocked up, so the packshot needs to be done when the product is already shipping to the retailers. So understandably there’s only a couple of days window to get the images to them. And the images need to be consistent and professional every time. Cosmetics packaging always presents some challenges to the photographer. 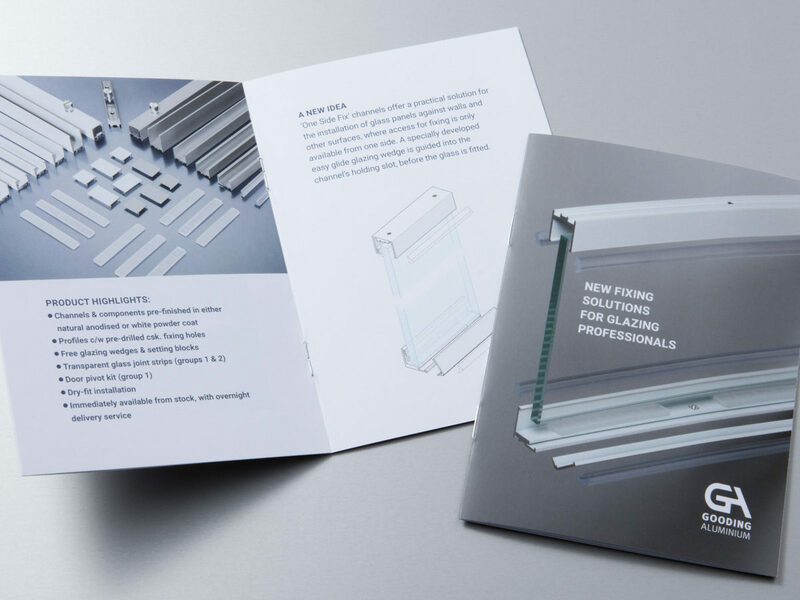 Especially tricky are reflective materials like plastic and metal. 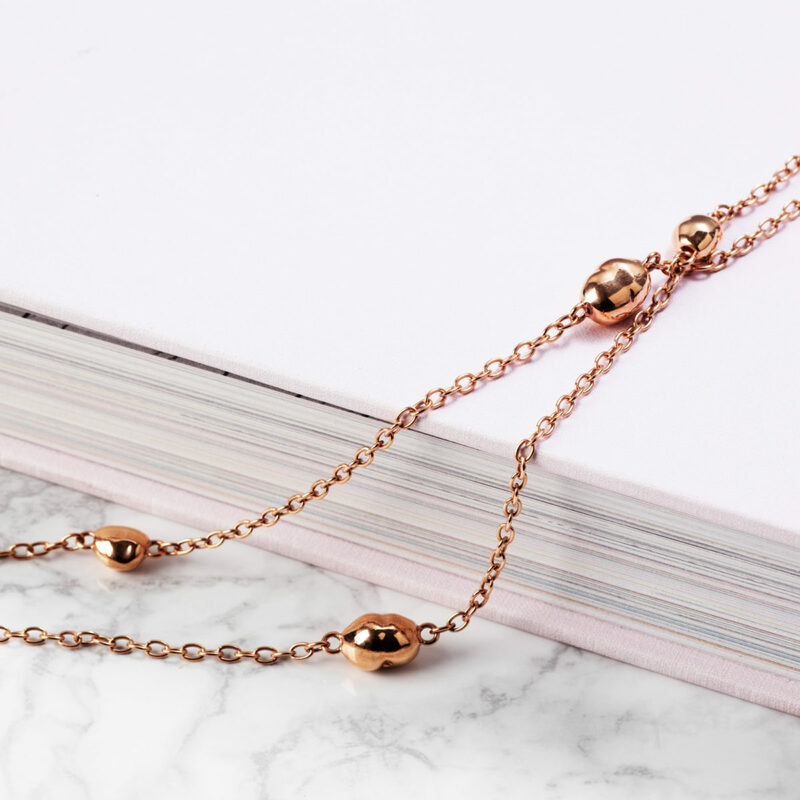 But I’m are used to shooting jewellery, which is nothing but reflections, so for me personally this is easy and I can shoot as fast as I would shoot a simpler item. I never rely on post-production because that would just slow the delivery of the images. 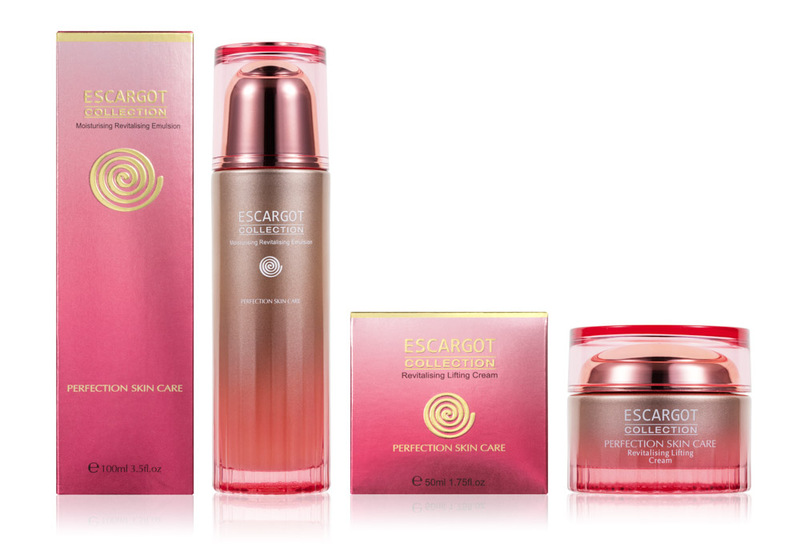 So I shoot the products well, and then the images are ready with the minimal amount of retouching – often just a dust clean and a cut-out. We are happy to announce that the move to the new premises went well. The new studio space is 50% larger with super high ceilings, so only the sky’s the limit to creating fantastic photography. And ta daa… we have free on-street parking very near. The address is: 180 Ilderton Road, SE15 1NT, London. 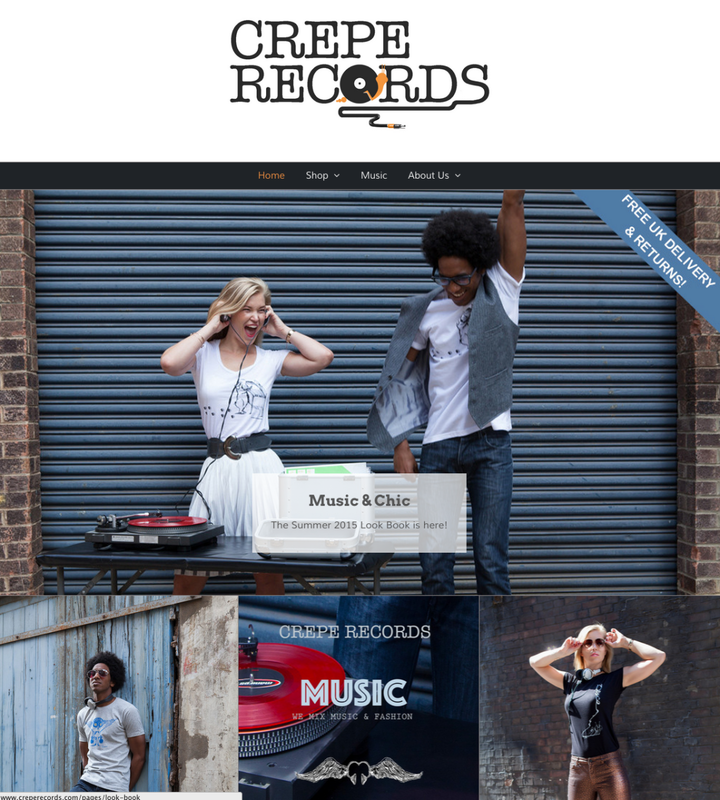 Our new client Crepe Records just Launched their website a few days ago on 31st July 2015. It was a great shoot and it was a pleasure collaborate with Manisha and Justin. They’ve managed to create a clothing label that has both genuine urban chic and ethical values. Have a look trough their website and our fashion photography at Crepe Records website. You’ll find some T-shirts with bags of original character! The outdoor shoot was done at Studio Erameri’s surroundings in Bermondsey, London and product shots in the studio. 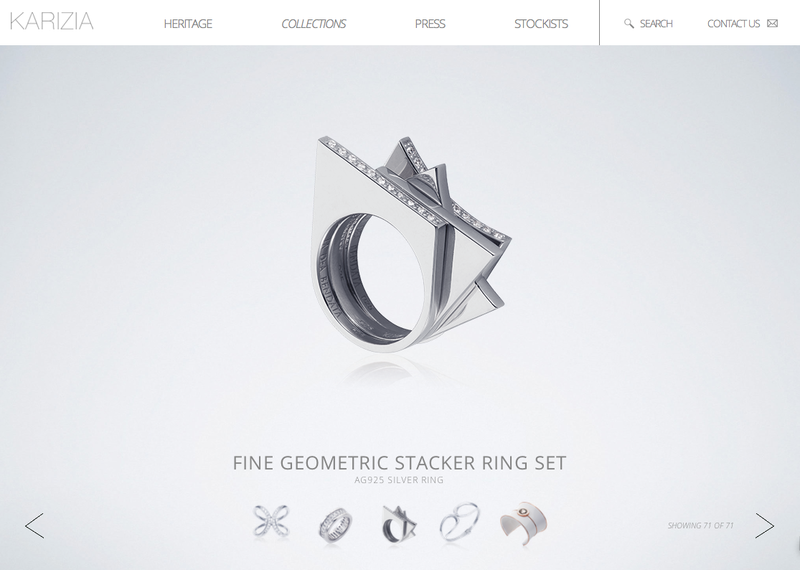 The image background on the packshots is transparent to blend it in seamlessly into the background gradient on their website design. Our business is built on values of trust, integrity and good communication, and we'd like you to experience those from the start. Come and talk to us and get one cut-out photograph for free - This free test offer is valid until the end of 2018 at our London Bermondsey studio. Need them fast? We can turn small jobs around in 24h. Simply download your finished images.